For residential property listed with Coldwell Banker Hickok & Boardman Realty during April 2019, the seller will receive a $150 SPRING INTO ACTION credit for home services with one of the following vendors. Choose a vendor & your service for the home you are selling, or the next one you’re moving to! Vouchers will be valid through October 1st, 2019. No cash value. Vermont Moving & Storage, Inc. is committed to offering the highest level of customer service, the most dependable and experienced movers, while continuing to uphold the quality standard our customers have come to expect with the Vermont name. 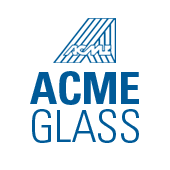 Acme Glass has been on the cutting edge of glass installation, repair and service since 1945. Acme Glass covers ALL of Chittenden & Grand Idle county - we cover MOST of Washington, Lamoille, Addison & Franklin county. Voucher can be used for projects exceeding $400.